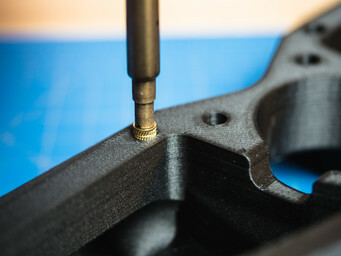 Threaded components, holes, and bolted connections are integral to a wide variety of engineering parts that you work with every day, so being able to add effective threads to 3D printed parts is important. Tapped or printed plastic threads are easy to overload and strip out, while metal threads are stronger and wear resistant, providing a better connection over time. 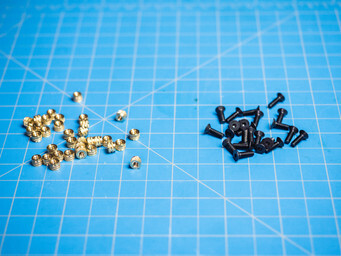 Metal threaded inserts provide a surefire fastening method for plastic parts. Threaded inserts are commonly brass with a pre-formed thread within them. They resist pull-out and torque-out loads with knurled external surface features designed to interface with the bulk material of the larger part. There are a few different types of threaded inserts depending on the materials and applications you are working with. 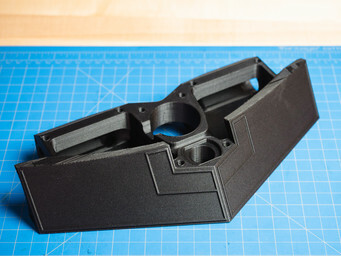 For 3D printing, we recommend heat-set inserts. 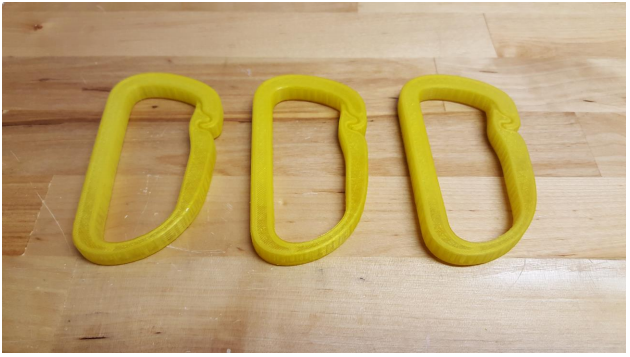 Heat-set inserts are perfect for thermoplastics in 3D printing because during installation the thermoplastic melts and reflows around the insert. This makes the plastic surrounding the insert locally stronger, and establishes a secure bond between the metal insert and the thermoplastic. This in turn ensures a much stronger pull-out and torque-out rating of the resulting thread as compared to other types of inserts. Designing for and installing heat-set threaded inserts for lower volume applications requires only a few inexpensive tools. Inserts require a tapered cavity of a specific size for installation, so you’ll need to find the recommended cavity dimensions from your insert vendor. During installation, the insert will melt and displace some plastic from the surrounding part as it descends, so the taper allows the molten plastic to fully envelop the knurled surface of the insert. Follow the steps below to design for and install a heat-set insert. 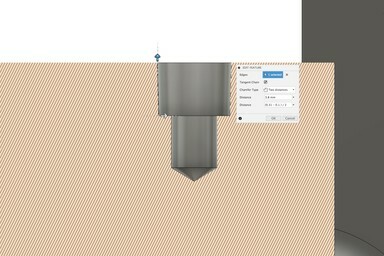 ‍Use the sketch tool or similar tool in your CAD program to pinpoint where you want your holes to start. 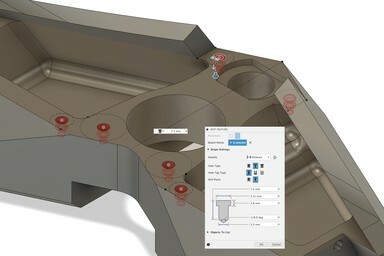 Using the Hole tool (or similar depending upon your CAD program), create a counterbored hole on the specified points with the recommended hole depth and major diameter (A) of the taper for the insert. You can extend the hole itself past the base of the counterbore if you need a relief hole for screw clearance. Here the diameter of the counterbore is 5.31 mm, with a depth of 3.8 mm. 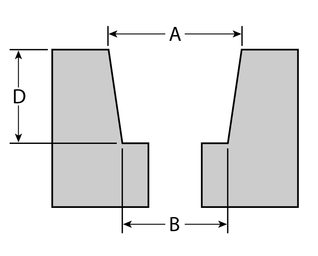 ‍Apply a Distance-Distance chamfer to the lower outside edge of the counterbored hole with the counterbore height as the distance going up the counterbore, and the value that will achieve “B” as your minor taper diameter as the other, which equates to (A-B)/2 for our needs. 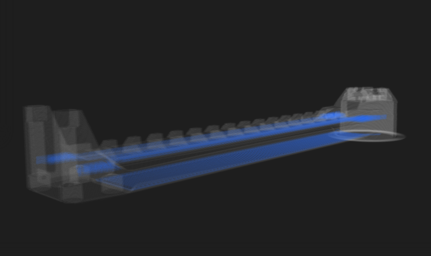 Depending on what format your cavity dimensions are provided, you may need to alter the way you perform this operation. 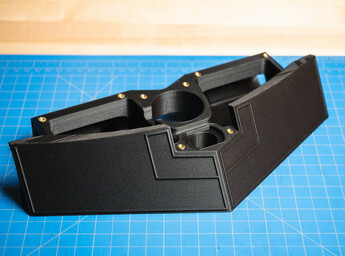 ‍Once your design is complete, print out your part! 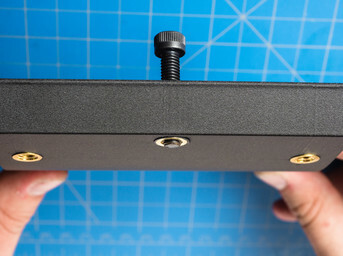 Plug your soldering iron in, turn it on, and wait for it to get up to temperature. A good iron operating temperature is 650-750 F (343-399 C). ‍‍‍‍Place each insert above its cavity, making sure it is straight and centered. Line the tip of the iron up with the center of the insert, and apply slight pressure while the insert heats up. Once the insert exceeds the plastic melt temperature, the insert will start to descend into the part. Be careful to push the insert down straight into the hole, and not at an angle. 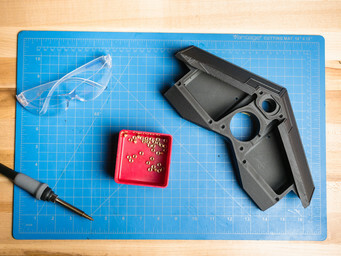 Larger inserts may take longer to heat up before they sink into the part. Keep the iron on the insert until it bottoms out in the counterbore, and make sure the insert is flush with the top of your part before you extract the iron. ‍‍After all of your inserts are embedded in your part, let them cool for a few minutes before use so that the plastic has some time to set. You can also use this time to adjust any inserts with the iron if they have not seated correctly. Threaded inserts are pretty strong with the insert embedded in the top face of the part due to the knurled external face meshing with the locally melted and reflowed plastic. 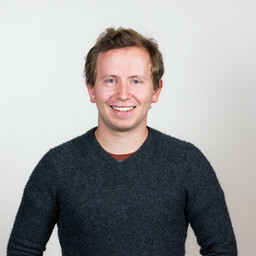 However, there may be circumstances in which you need even more strength in your connections, and you can use the following trick to resist extreme loads applied to the joint. Instead of putting the inserts on the face of your part flush with whatever you’re bolting to, put them on the other side of the part instead. 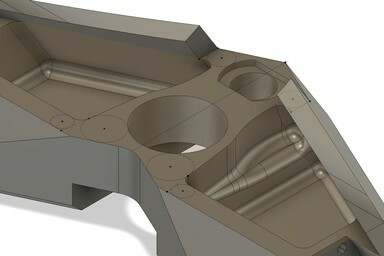 This vastly improves the connection strength because when the insert is loaded, the taper of the insert meshes with the taper of the counterbore to distribute forces applied to the bolt. This behavior is highly improved with the addition of continuous fiber reinforcement around the cavity, which further prevents the cavity walls from deforming under load. Reach out to us for a free sample part to test the strength and durability of our material! Follow us on Facebook, Twitter, Instagram, and LinkedIn to keep updated with everything Markforged. 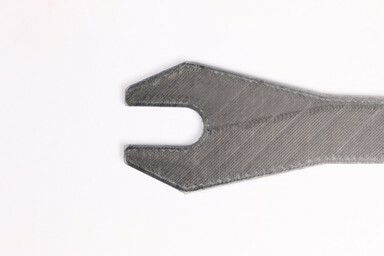 The second post of a two part series on high strength 3D printing for functional industrial applications with a Mark Two printer and carbon fiber filament.